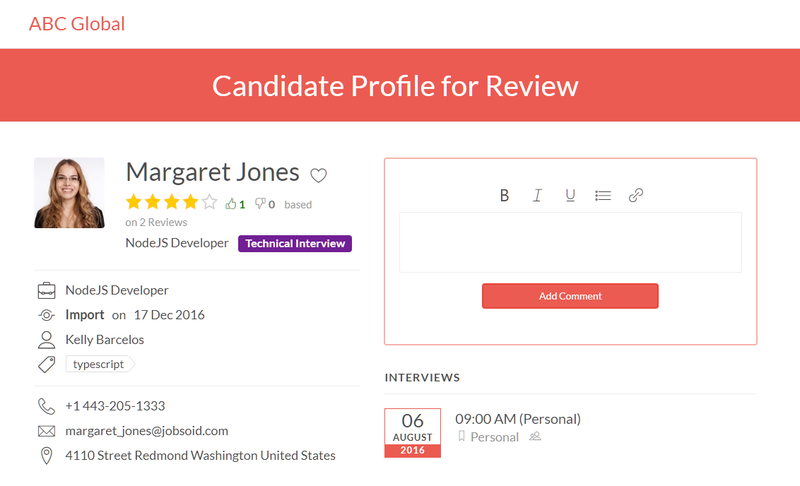 Jobsoid offers an easy way to share candidate profiles with people outside your organization. They are called as external users of Jobsoid. 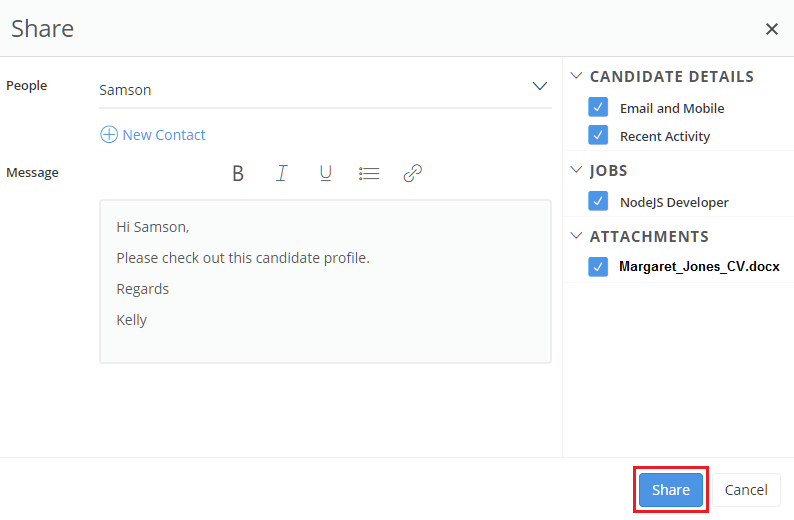 You can share the Candidate profile with multiple people at a time. 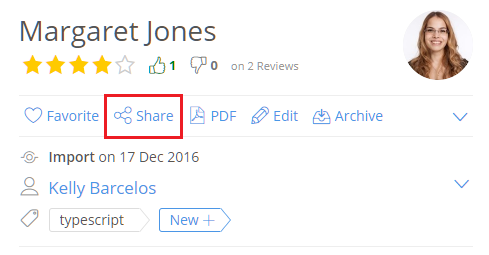 Click on Share button on the action bar. This will open Share window asking you to choose the contact you want to share the profile with. 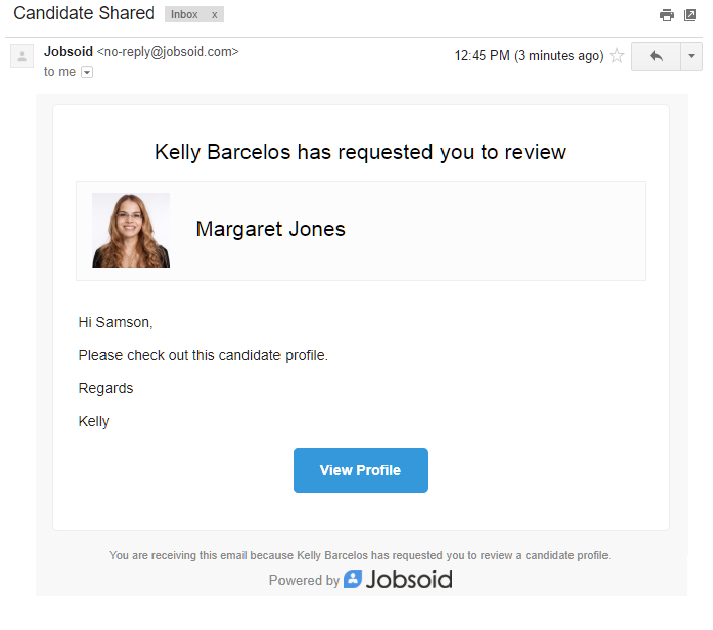 This will send out an email to your chosen contact with a secure public share link of this candidate profile, which can be viewed without logging into your Jobsoid account. These external users will be able to give their feedback by replying to the email or by posting a comment on the candidate profile. These comments will appear under the Recent Activity on the candidate profile.